New Asian places—especially new Sichuan places—will always be a welcome site for us. And a new Sichuan place with the pedigree of DanDan (that is, being owned by Kevin and Catherina Huang, former operators and managers of the University City Han Dynasty, and sister to Han Chiang himself). The new Rittenhouse restaurant will also specialize in Taiwanese food and allow guests to customize dishes based on gluten and vegetarian requirements, as well as spice level. The inside of the restaurant is clean and well-lit, and offers plenty of seating on two floors, as well as at their now-open bar. It will be hard to separate the place from its Sichuan predecessor Han Dynasty, which made such a huge splash on the local Asian cuisine—especially with the similarities everyone is sure to pick out—but DanDan stands on its own well enough to warrant more than one meal. Our experience so far has been confined to take-out, which is usually sub-par to eating in a restaurant. The food isn’t served as it should be, there is no plating to speak of, and it’s usually lukewarm at best by the time you get it home and start eating. However, if what we have had is sub-par, then everyone needs to run to eat at the restaurant, because the food we had in our living room was fantastic. While their website is under construction, be sure to follow them on Twitter at @DanDanFlavor. Dan Dan Noodles – With a name like DanDan, it should be pretty obvious you need to get the Dan Dan Noodles. And while we did find them not quite as good as the ones at Han Dynasty, they were still delicious. Not as much heat, but the nutty flavor shone through, and the noodles were perfect. I’m glad we now have two solid options for these around the city. 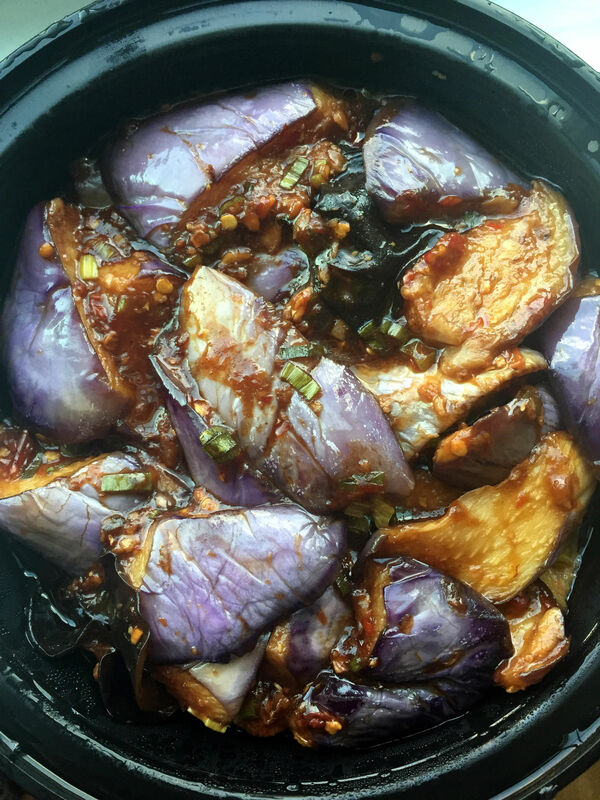 Eggplant with Garlic Sauce – Hooo mama, is this thing packed with flavor. We don’t know a lot of people who get excited over eggplant, but here is a reason to. The eggplant themselves were a little soft, but that also meant the skin wasn’t chewy or tough, and the meat of the eggplant had absorbed plenty of sauce. Every inch of this dish was surprisingly tasty. Beef Tendon – I always try to order one odd-sounding dish every time we’re out so I can try something new. A long time ago, the spicy tendon became one of my favorite dishes, and I’ll get it every chance I can. While others can be slightly chewy, the tendon at DanDan was incredibly supple—it was like chewing on a soft piece of prosciutto. Don’t be scared of this when you see it – you will be pleasantly surprised. 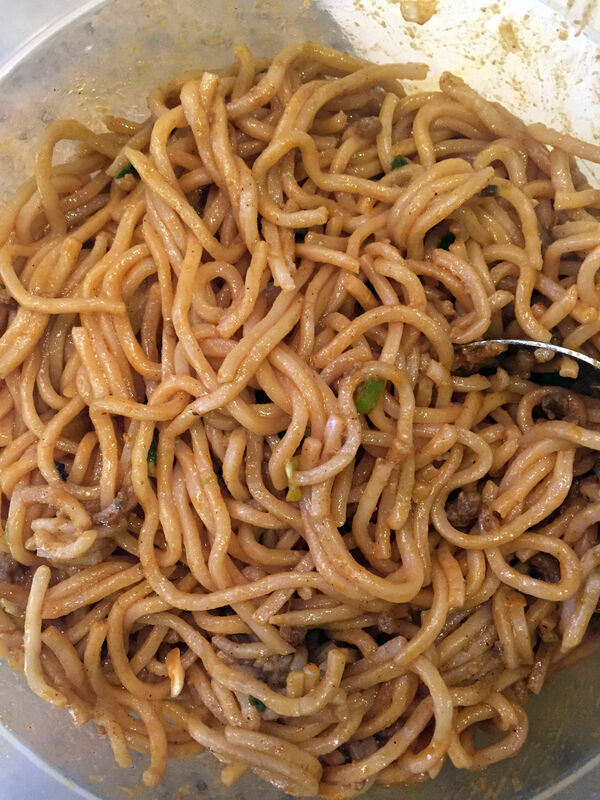 This entry was posted on August 24, 2015 by Ryan in Asian food, Review and tagged asian, dan dan noodles, dandan, han dynasty, sichuan.